Daughter and I had a very nice and quiet outing to Brown Canyon Ranch last weekend. This is an outbuilding immediately off the house, which was built in 1905-07. The families who occupied this homestead over the years ranched cattle for nearby Ft Huachuca, providing food for the soldiers. 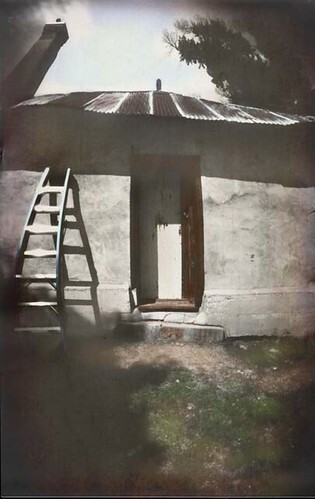 The ranch house is currently undergoing renovation, hence the modern-day ladder perched against the building.